EDM or IDM, 'Hive - Tek' has you covered with some familiar but unique sounds for your next track or remix. This set includes not only Dance/Trance friendly patches, but also has your back for other EDM styles with some wobbles, some bit crushed sounds, and lots of filtering and syncopated rhythmic LFO modulations. 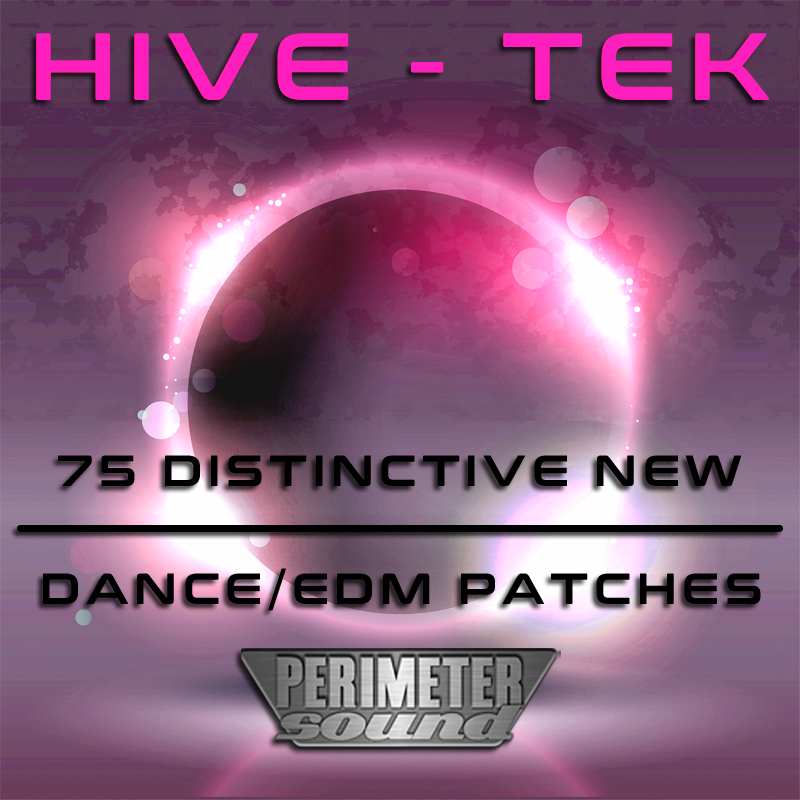 'Hive - Tek' features 75 distinctive new patches for the U-he Hive soft synth, all featuring useful modwheel assignments that are ready to go. No FX or soundscapes in this pack, no filler, just 75 sounds ready to shake the speakers. These patches are for use with all types of Dance & EDM music, when you need a familiar but distinct sound. Grab the freebee try-before-you-buy pack and try them for yourself today.